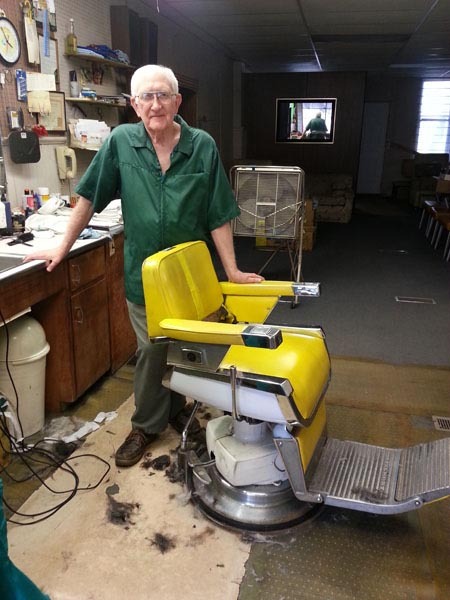 Don Schneider’s barber shop was a very special place for those who had an interest in Bremen’s past. Over the years, he collected old-time pictures of Bremen, most of them given to him as gifts. He mounted the photos on his walls around the barber shop. There were 28 poster board panels with at least 175 pictures. If you asked him about a picture, he would provide you with the details and story behind it. Some of his favorite stories were about “Strawberry” and Joe Tedrow. 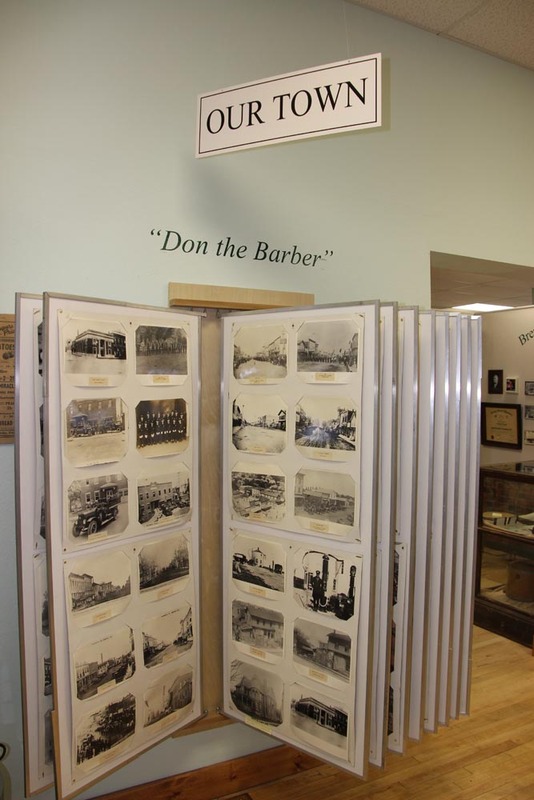 Don’s Barber Shop was the only place in town where you could get a haircut and a history lesson at the same time. In 2015, the lifelong Bremen resident retired after 57 years. The People’s Paper wrote all about it. Don donated his extensive collection of vintage photographs to the History Center. Kent Koontz designed a set of 10 swinging panels to hold two of Don’s poster boards on each side. Businesses, residences, and transportation from the turn of the 20th century are on display. We thank Don for allowing us to continue enjoying his pictures. Come and browse the collection in person or browse it in our online archive. Historical note: Don’s father’s family goes back to the early days of Bremen, when Wilhelm Schneider (1835-1921) first came here after emigrating from Germany in 1864. His mother’s side goes back to the emigration of John Stuntz (1821-1900) from Germany in 1851.